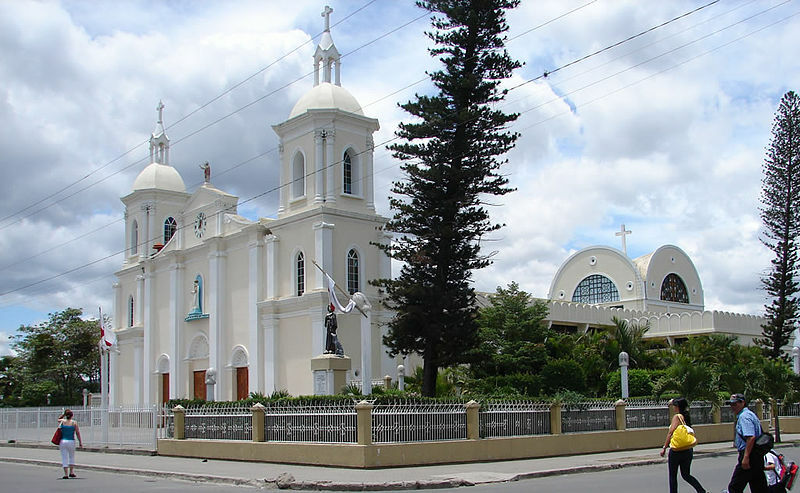 Estelí, the largest city in the northern highlands of Nicaragua, is located approximately 90 miles north of the capital of Managua. Situated in a flat valley with an elevation of 2,769 feet, it is surrounded by lush, green mountains, with some that reach more than 5,000 feet. This higher elevation provides cool temperatures year-round, which are a welcome respite from the sometimes stifling heat in the south. Due to the region’s climate and fertile soil, the surrounding agricultural farms thrive with many them producing some of the best coffee and tobacco in the world. Despite its relatively peaceful appearance, Estelí has had a violent and turbulent past due to its political beliefs. Known as a devoted Sandinista center of activity, it saw heavy fighting and bloodshed during the revolution against the Somoza government in the late 1970s. Many of its residents still recall the violent conflicts and numerous bombings that Somoza ordered upon the city in his unsuccessful attempt to wipe out the insurrection. 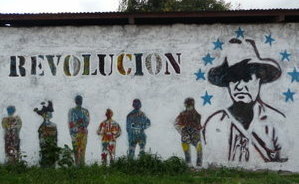 But despite the chaos, the people have remained extremely proud and supportive of the Sandinistas, which can still be seen in the murals near some of the bullet-marked buildings scattered throughout the area. 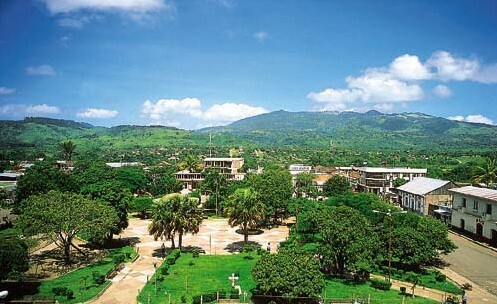 Today, Estelí has become one of the fastest growing cities in Nicaragua and many businesses have relocated there due to its top ranking from the World Bank. It maintains a wonderful combination of warm and relaxed attitudes despite its population of approximately 120,000. During the day, the city and its surrounding region is a great place to soak up the atmosphere of this northern portion of the country. But even more special are the quiet evenings when the streets become practically empty and the breeze become cold enough to actually cover up in bed for a good night’s rest. Catedral Nuestra Señora del Rosario de Estelí – Located on the eastern side of the small but busy Parque Central, this cathedral is the most architecturally interesting structure in the city. Originally built in 1823 as a simple adobe building with a straw roof, the addition of its baroque facade was added in 1889. The church was later redesigned into a more modern building complete with large columns, a neoclassical facade and a pair of bell towers. Compared to other large cathedrals in Nicaragua, this one is relatively plain but its interior is still worth visiting for just a brief moment. 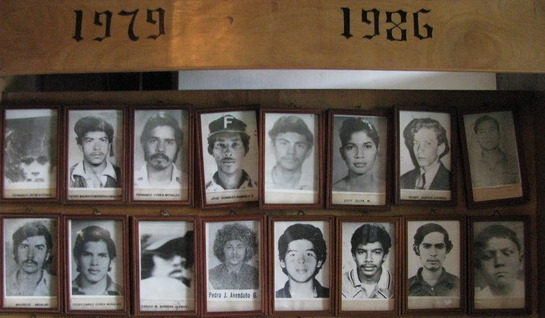 La Galería de Héroes y Mártires – Situated in a former jail used by Somoza, this small but emotional museum is devoted entirely to the revolution and the Estelí residents who were killed during that violent period. The approximately 300 employees are mostly mothers and widows of the soldiers and they maintain the important collection of old photographs, weapons, uniforms, and other personal items from their former loved ones. It is open Mondays through Saturdays from 9 a.m. to 4 p.m. and admission is free, although donations are greatly appreciated. 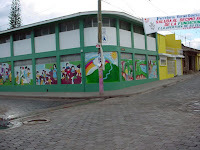 La Casa de Cultura – Also located just south of the Parque Central, this colorful, mural-covered building is the cultural center of the city. It offers art exhibitions by local artists, instruction in art, dance, and music, as well as live performances on the weekends. It is open Mondays through Fridays from 9 a.m. to noon, and 2 to 5 p.m. In addition, the building also includes the Museo de Historia y Arqueología, which is a small museum of pre-Colombian artifacts and petroglyphs. It is open Mondays, Tuesdays, Thursdays, and Fridays from 9 a.m. to noon. 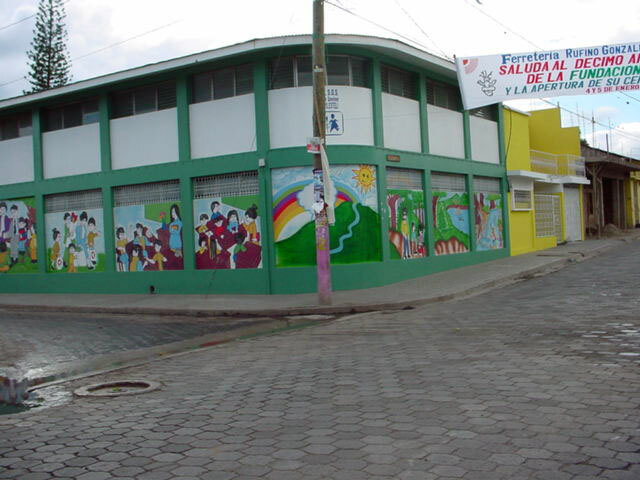 Tabacalero Santiago – Located outside of Estelí at Km. 141 on the Pan-American Highway, this is one of the best cigar factories in the area to visit. 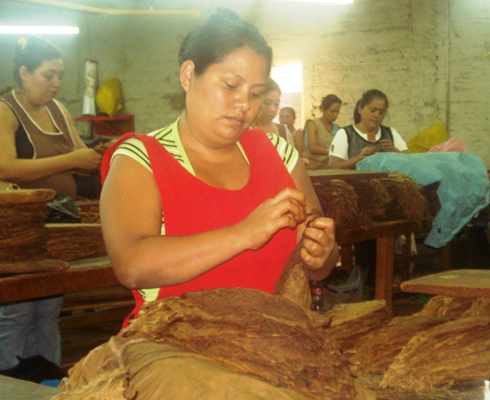 Free tours are offered by appointment only, and the tours cover everything from the initial stages of sun drying the tobacco leaves to the assembly room where hundreds of employees sit and tightly roll the leaves into magnums, coronas, and other well-known cigars. Its cigars have gained world-wide fame after major endorsements from celebrities such as Arnold Schwarzenegger and Bruce Willis. The tours are offered in Spanish, but the Hospedaje Luna (located one block north of the Parque Central) can arrange for an English-speaking guide. More information about can be found at: www.cafeluzyluna.com. El Salto de la Estanzuela – Located in the Reserva Natural Tisey-Estanzuela, this is one of the most accessible waterfalls in the country. Visitors can either take the one-hour hike or drive to the foot of the falls in a high-clearance vehicle. The path begins just past the hospital at the southern end of Estanzuela, a small village just south of Estelí. Follow the path for approximately 2.5 miles to a sign marked, “Comunidad Estanzuela.” Enter through the gate and hike another mile until you reach the falls. 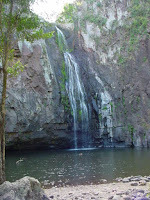 The waterfall cascades down approximately 100 feet into a deep pool that is perfect for swimming. If you choose to swim, try to avoid the area directly under the waterfall because rocks have been known to fall, especially after a hard rain. Unfortunately, there is also trash floating around the rocks, which is a sign that more work needs to be done to monitor dumping in the area. Located nearby is El Mirador, one of the best viewpoints in the country. On a clear day, you can actually see as far as El Salvador. 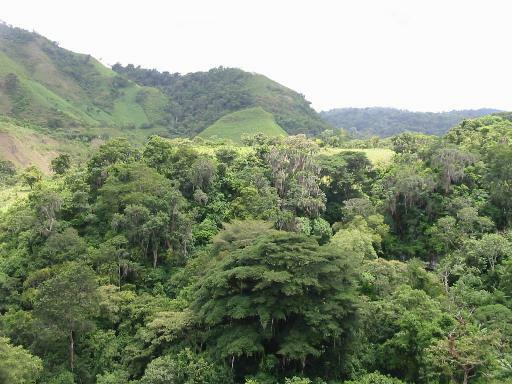 Reserva Miraflor – This 80-square-mile nature reserve, located approximately 17 miles northeast of Estelí, is one of Nicaragua’s best-preserved but least visited natural attractions. Founded in 1996 as a privately maintained reserve, it is actually home to more than 5,000 locals who currently produce everything from coffee and potatoes to milk and cheese. It also includes one of the largest collections of orchids in the world (with more than 300 species), and the natural home to more than 200 species of birds. The reserve itself consists of several different ecosystems ranging from dry, open plains to cloud forests with an elevation of more than 4,800 feet. The best way to enjoy the reserve is by staying with one of the families that open their homes to visitors. There are no luxury accommodations and many of houses don’t even have electricity, but what you get in return is getting to know a local, friendly family and a great base to explore the ancient caves, former pre-Columbian villages, and La Chorrera, which includes a 197-foot waterfall. To get to the reserve take one of the three daily buses from the northern bus terminal (COTRAN Norte) in Estelí. The ride is approximately 45 minutes each way. The UCA Miraflor is one of the main cooperatives that manage the reserve and it is the best place to book excursions and arrange homestays within the reserve. More information is provided by their website at: www.miraflor.org.